Being an adult is funny... no one ever really tells you what it would be like, and even if they did, you probably wouldn't believe them. I know I would not have believed it if anyone told me that I would experience emotions that would absolutely put to shame the happiness, sadness, anger and everything else I felt in high school. Do you remember those days? Thinking that every single thing that happened to you was the worst/best you'd ever experience? I am reminded of that on a daily basis in my classroom - seeing the tears and the smiles and hearing the laughter of my students as they go about their day. It really puts things into a new perspective, and reminds me constantly to relish each and every experience, whether good or bad, and to make the most of every situation. Life can be incredibly difficult - your house can catch on fire, your heater can break, your pipes can freeze, and you can be frustrated and sad and jealous and broke all at the same time, and then you can be walking down an isle at the grocery store and see a sweet little baby smile at you and it makes those trials seem not quite so overwhelming. I have found true joy in quiet days with my wonderful husband, and I know that for us, the best is yet to come, and I can't wait to truly live each moment. I have also found a new joy in my life - spending time in the kitchen. I think I always thought of this as more of a chore until recently, and of course you can't enjoy a chore, or it wouldn't be a chore anymore, right? The rhyming in that last sentence was completely unintentional, hehe. I absolutely ADORE spending time planning recipes, shopping for ingredients that are the best for my family (local, organic, fresh), and then spending hours in the kitchen prepping and cooking. Heck, I even enjoy cleaning my kitchen these days, because I have so much pride in my space and can't wait to be in there again cooking away. Dirty counter tops just won't do! 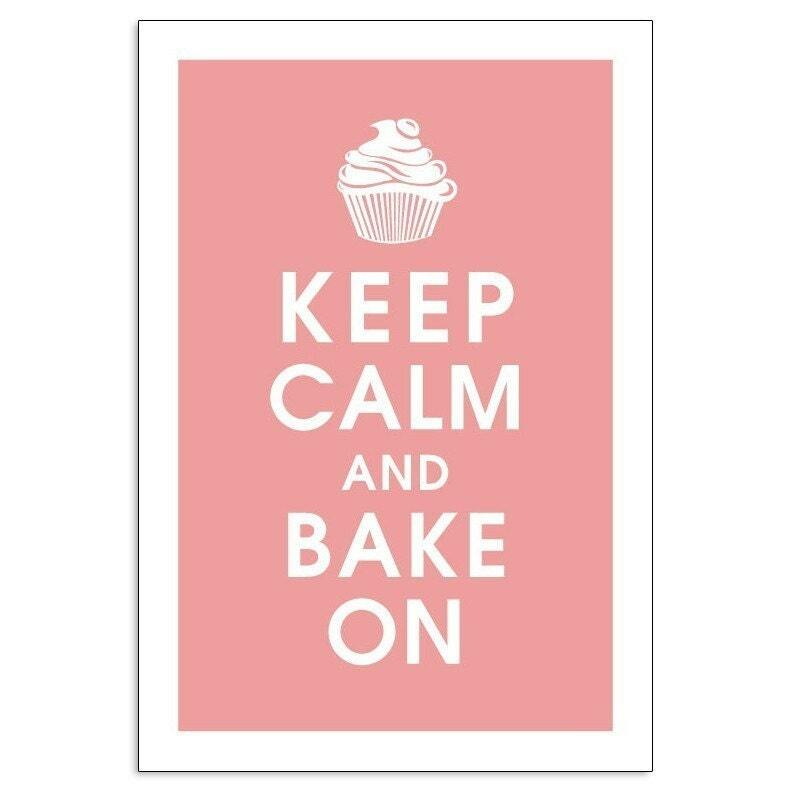 In light of this recent discovery, my new must have is this: Keep Calm and Bake On poster from Etsy by KeepCalmShop. This will look so good hanging above my apron hook! hehe. First of all, one of my all consuming frustrations has been the work being done on the den after the fire. Tim, our contractor, does absolutely amazing work. The den turned out to be quite a bit more of an involved project than anyone anticipated. Here he is stripping the ceiling: It was a big goopy mess and took weeks to finish. The walls are now done, and look absolutely amazing. Just a few more touches (outlets need to be replaced, and the floors need to be done). But hopefully it will be done soon and I can move the couch out of my dining room, haha. Another adventure I had the past couple of weeks was making my very own bread. I hadn't ever tried this before, and I had a ton of fun kneading the dough and then hearing Drew's comments of how good it smelled when he walked in the door from school. I will definitely try this again - I can't even imagine how much money I could save making my own bread rather than buying it at the grocery store. Plus, there are so many different recipes and additions you can make so that you don't have to have the same thing every time! Then there was the trip to Ikea with my dearest friend, Macy. A trip to Ikea is always dangerous, especially when you haven't been in a while, and when you borrow your grandfather's truck to take with you, haha. I did pretty well though, and didn't break the bank... well, the bank was probably already broken, so there was no worry of that! Drew bought an original screen print by our friend Jonathon Kimbrell of Napkin Art Studios. We've had it for a while and I finally got it framed and matted. Ikea has the best frames for cheap... this one was only $20! Plus the mat board - free, haha. Totally beats taking it to Michael's for a couple hundred bucks, right!? I also bought a "dresser" for the office to put the random crap we had on a book shelf somewhere where it wouldn't be seen. I absolutely love it - especially having one room in the house that I know is clean and tidy, such a great feeling. The art above the shelf is an original screen print as well put out by Drew's favorite band, Isis. We love having art in our house! I would love to make a deal with some of my artist friends for some art to fill other rooms as well. Well, I can't waste all of my day here on blogspot, so I must depart. Until next time! A drink this weekend? Perhaps Friday? (not happy hour, but later) or Saturday, whenever?